Financing available on many models...CLICK HERE for details! Take on those real-world challenges in the ultimate power chair for those with a love for the great outdoors - the Pride Jazzy XL 600 ! 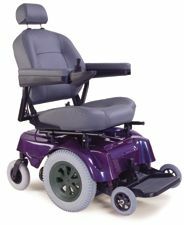 The XL 600 upholds the Jazzy reputation of incredible indoor maneuverability and combines it with enhanced performance features including ATX active-trac suspension and mid-wheel 6 wheel on the ground technology to offer you the strongest outdoor performance available in a power chair. With seating available up to 24" wide x 24" deep, the Jazzy 600 XL is the perfect choice for those who demand maximum stability and true, all-around performance. 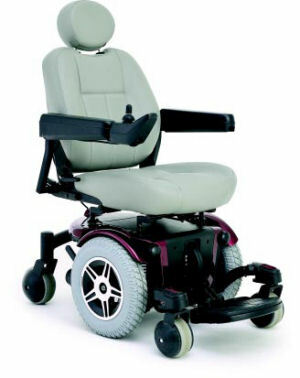 Patented two-motor mid-wheel drive design provides outstanding maneuverability. 14" knobby drive wheels and optimum weight distribution offer superior traction.